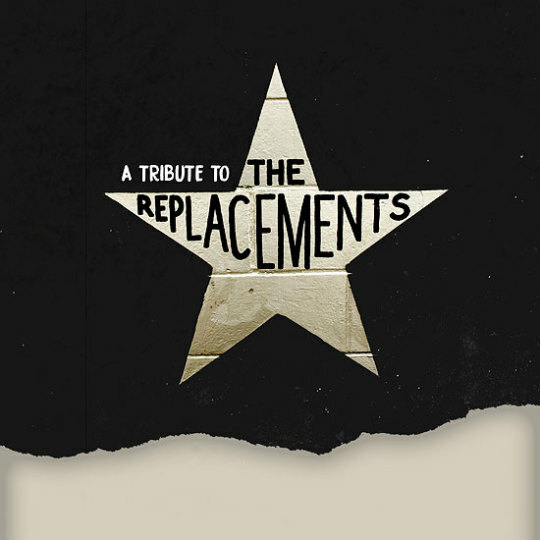 Ahead of the The Replacements Tribute night, we got to ask some of the artists a few questions. Read what they had to say below, and don’t miss them at the Turf Club this Saturday, December 9th! Charlie Bach: What is your Favorite Replacements Song/Record? Why? ahem: We really like Beer for Breakfast (listening to it we mean). The Bad Man: Sorry Ma. 18 songs and not one worth skipping. Lydia Hoglund: Can’t Hardly Wait. It’s honestly one of my top 3 favorite songs. It has every emotion, it has perfect instrumentation and wow I just can’t express how much I love that song. Dylan Ritche (Teenage Strangler): Let It Be for its range, from punk fury to tender ballads to caveman bar rock its all there. J.E. Sunde: Let It Be. My older brother, who I looked to as the source of all good music, gave me this record. I love how diverse it is in terms of the types of songs and the sense that it’s the product of a lot of different influences but still feels like a cohesive record. Nick Leet: I love “Tim” the most. It has the most anthems! I think Paul hit his songwriting heights with this one. Charlie Bach: Have The Replacements influenced your own music/writing style? If so, how? The Bad Man: Mostly with drinkin’. Dylan Ritchie (Teenage Strangler): Hook driven songwriting plus the thrill of near chaos are the key influences in Teenage Strangler. Charlie Bach: What excites you most about playing this tribute show? ahem: Just hanging and listening to the other bands for sure, hearing what they decide to play. But we’re also super happy our friend Devon from Fury Things is joining us on bass that night. The Bad Man: That The Bad Man has Ben Hintz on saxophone instead of Bob Stinson. Lydia Hoglund: All the performers and their takes on the songs! Dylan Ritche (Teenage Strangler): Getting to sing one of my favorite Mats songs “Johnnys Gonna Die” off the STINK EP. Charlie Bach: (For returning performers) — You have performed in this tribute in years past, what’s your favorite part about playing this night? Lydia Hoglund: My favorite part of playing this night (I think it’s my… 4th or 5th?) is the energy and the collaboration, the attentive crowd, working the crowd, the kindness and mutual love for this one beautiful band. Nick Leet: I absolutely love getting together with friends I don’t see nearly enough. It’s an added bonus that we are performing some of the greatest rock songs of all time. Brian Vanderwerf: Good times and jamming out to the Mats. Charlie Bach: Is there a Replacements song you enjoy performing most? ahem: Treatment Bound is a blast to holler along to. Not too bored to thrash (yet). Also, Rattlesnake if we get to pick two! Dylan Ritchie (Teenage Strangler): Answering Machine or Little Mascara would be contenders for best Mats songs IMO. Charlie Bach: What about The Replacements music draws you in the most? The Bad Man: The songwriting. Truly genius music doesn’t act smart. The Replacements nailed that. Dylan Ritchie (Teenage Strangler): The band fearlessly expressed themselves honestly at a time when pretense was king in entertainment, the authenticity of the band through its many phases makes their music endure. J.E. Sunde: The combination of a sense that they didn’t take themselves too seriously and yet there is enormous ambition and reach in what they produced.